Antarctica’s glaciers have been making headlines during the past year, and not in a good way. Whether it’s a massive ice shelf facing imminent risk of collapse, glaciers in the West Antarctic past the point of no return, or new threats to East Antarctic ice, it’s all been rather gloomy. 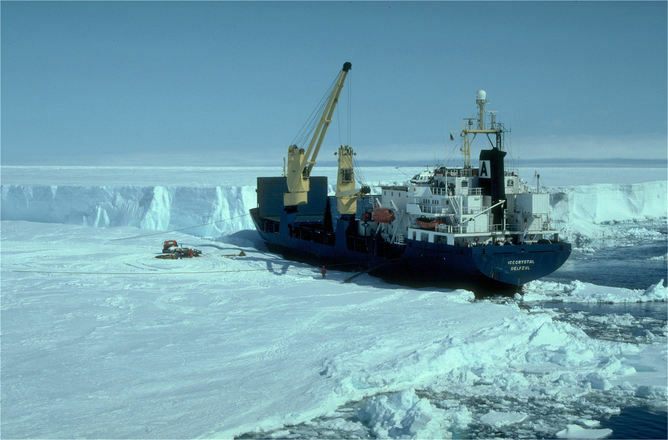 And now I’m afraid there’s more bad news: a new study published in the journal Science, led by a team of my colleagues and I from the University of Bristol, has observed a sudden increase of ice loss in a previously stable part of Antarctica. 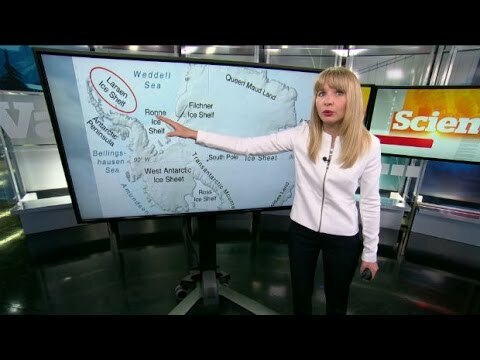 The region in question is the southernmost half of the Antarctic Peninsula, a section of the mainland which extends 1300km into the Southern Ocean. Its northern half is the continent’s mildest region and the climate effects there are clear. We already knew for instance that the glaciers of the Northern Antarctic Peninsula were in trouble following the disintegration of some of its ice shelves, most famously Larsen A and B. Further to the west, the massive glaciers feeding into the Amundsen Sea have been shedding ice into the ocean at an alarming rate for decades. Out of the blue, the Southern Peninsula filled up the gap between these two regions and became Antarctica’s second largest contributor to sea level rise. Using satellite elevation measurements, we found the Southern Antarctic Peninsula showed no signs of change up to 2009. Around that year, multiple glaciers along a vast 750km coastline suddenly started to shed ice into the ocean at a nearly constant rate of 60 cubic km, or about 55 trillion litres of water, each year – enough water to fill 350,000 Empire State Buildings over the past five years. Some of the glaciers are currently thinning by as much as 4 metres each year. The ice loss in the region is so large that it causes small changes in the Earth’s gravity field, which can be detected by another satellite mission, the Gravity Recovery and Climate Experiment (GRACE). So sudden even the supply ship seems to have been caught out. Is this an effect of global warming? The answer is both yes and no. Data from an Antarctic climate model shows that the sudden change cannot be explained by changes in snowfall or air temperature. Instead, we attribute the rapid ice loss to warming oceans. Many of the glaciers in the region feed into ice shelves that float on the surface of the ocean. They act as a buttress to the ice resting on bedrock inland, slowing down the flow of the glaciers into the ocean. The westerly winds that encircle Antarctica have become more vigorous in recent decades, in response to climate warming and ozone depletion. The stronger winds push warm waters from the Southern Ocean poleward, where they eat away at the glaciers and floating ice shelves from below. Ice shelves in the region have lost almost one-fifth of their thickness in the last two decades, thereby reducing the resisting force on the glaciers. A key concern is that much of the ice of the Southern Antarctic Peninsula is grounded on bedrock below sea level, which gets deeper inland. This means that even if the glaciers retreat, the warm water will chase them inland and melt them even more. The region’s melting glaciers are currently adding about 0.16 millimetres to global sea levels per year, which won’t immediately make you run for the hills. But it’s yet another source of sea level rise, about 5% of the global total increase. What might be a bigger source of concern is that the changes occurred so suddenly and in an area that was behaving quietly until now. The fact that so many glaciers in such a large region suddenly started to lose ice came as a surprise. It shows a very fast response of the ice sheet: in just a few years everything changed. The Southern Antarctic Peninsula contains enough ice to add 35 cm to sea level, but that won’t happen any time soon. It’s too early to tell how much longer the ice loss will continue and how much it will contribute to future sea level rise. For this, a detailed knowledge of the geometry of the local ice shelves, the ocean floor topography, ice sheet thickness and glacier flow speeds are crucial. But the ice on Antarctica is like a sleeping giant. Even if we would stop emitting greenhouse gases as of today, or the inflow of warm water would stop, this inert system would take a long time to find an equilibrium again. Bert Wouters is Marie Curie Research Fellow in Geographical Sciences at University of Bristol.